As featured in Cook's Illustrated. 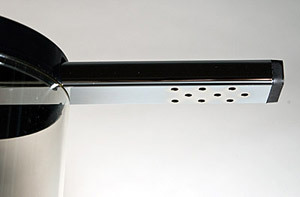 The KBT-741 has the manual drip stop feature. 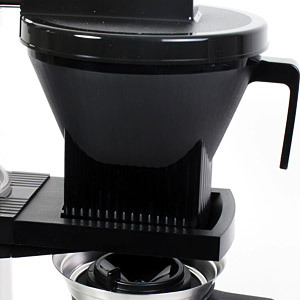 The same brewer with an automatic brew basket - KBGT-741 - is also available.The KBT-741 is also available in black. 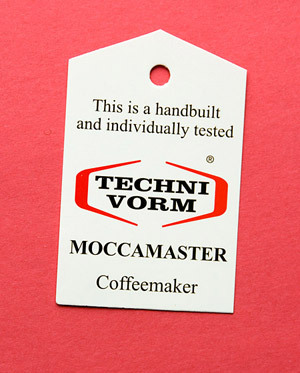 Alternately, you may order the Technivorm Moccamaster Thermo CDGT - it is identical except for its appearance, with a round rather than rectangular tower. They are the same width and depth, have the same finish and internal parts, same capacity and use the same carafe. Height of the CDGT is four tenths of inch taller. 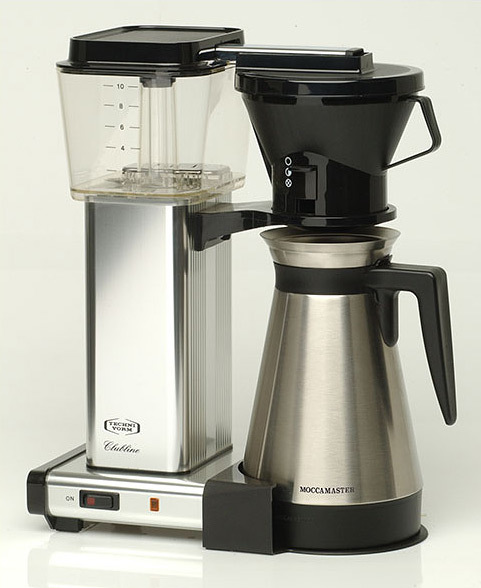 The Technivorm Moccamaster KBGT-741 Clubline brewer is a simple, precise and elegant electric drip brewer. No gadgets here. This is a handmade coffeemaker built in Holland. 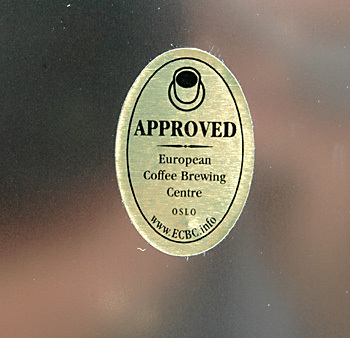 The main asset of the Moccamaster is its ability to maintain perfect brewing temperature throughout the entire brewing cycle, an attribute that has earned it certification from at least two coffee trade associations. This is a quality product, done simply. 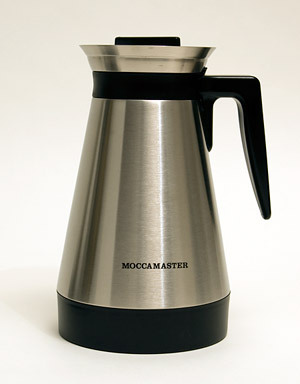 Specifications are the same the as the Moccamaster Thermo CDGT model - the main differences are in styling. Technivorm brewers have been recommended in articles that appeared in Wine Spectator and Barron's. Both models we offer have stainless thermal carafes. ** $15.00 shipping discount to Hawaii and Alaska. Enter coupon code SHIPDISC during checkout. For Canada SHIPDISCC.